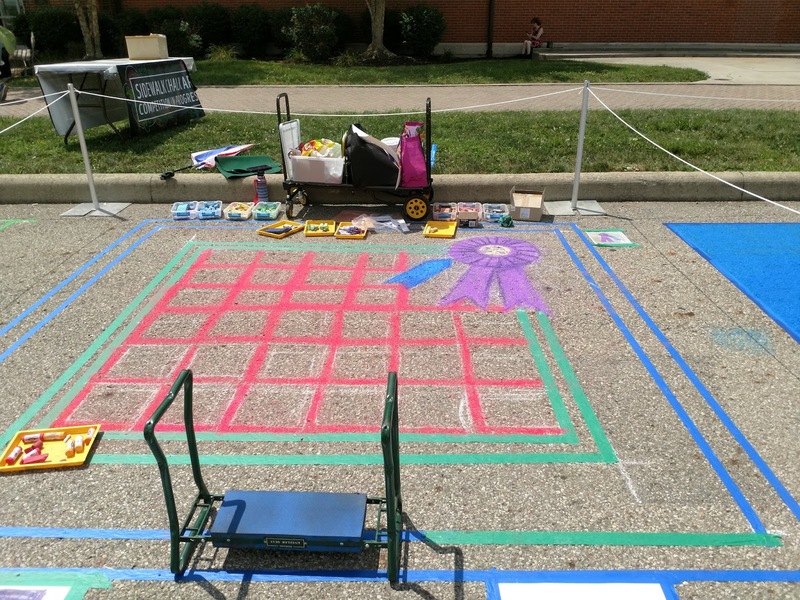 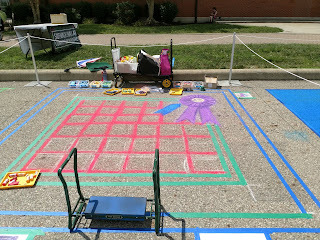 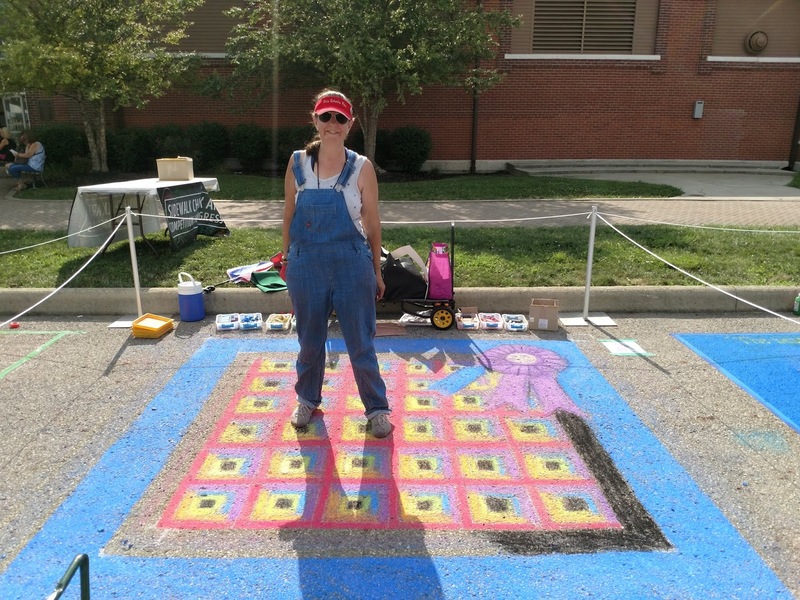 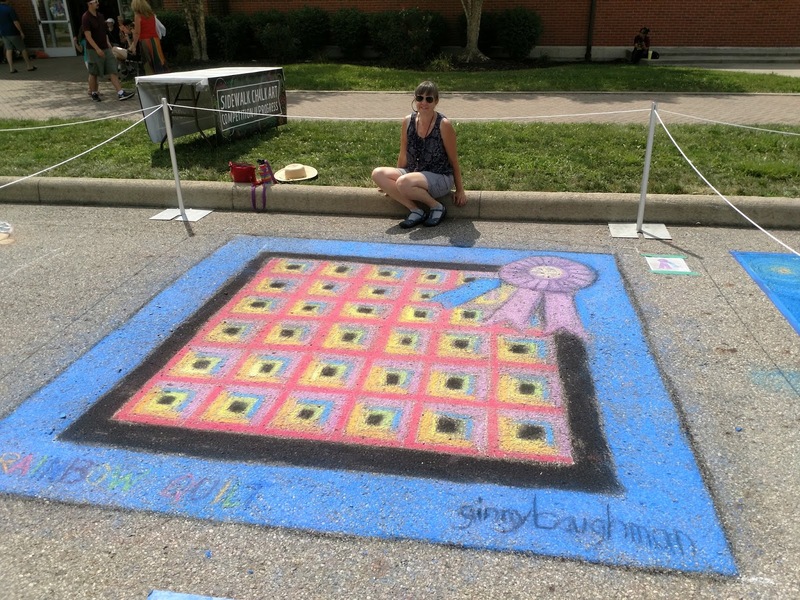 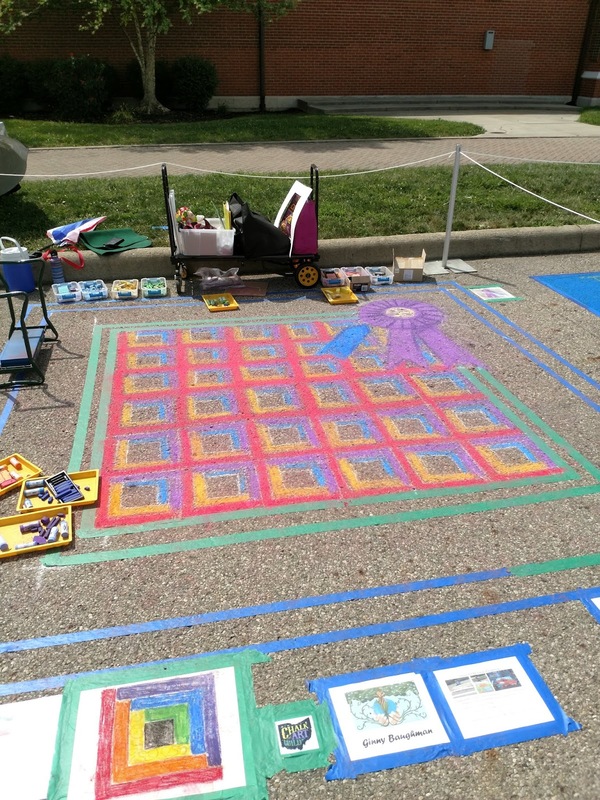 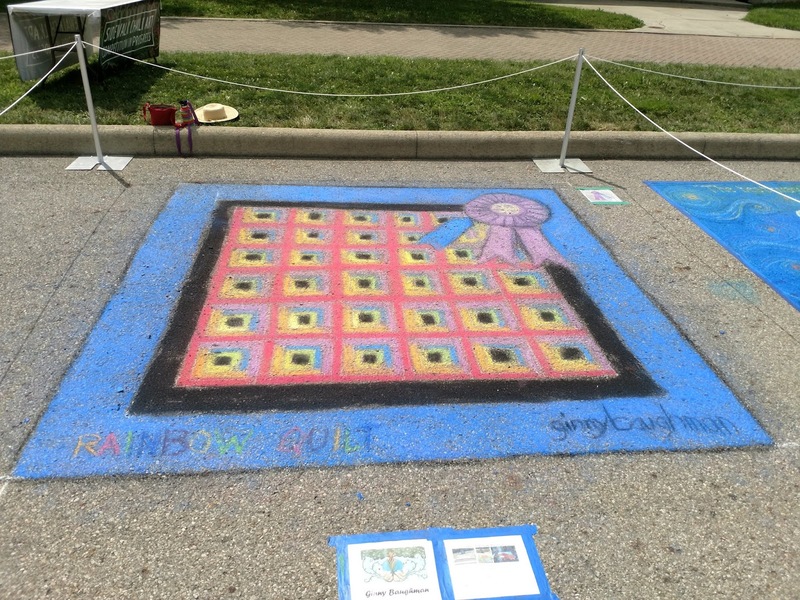 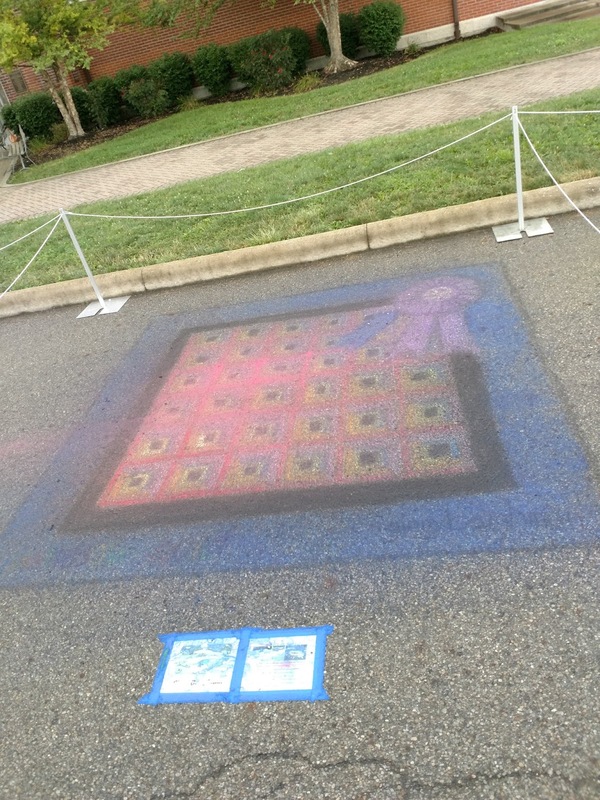 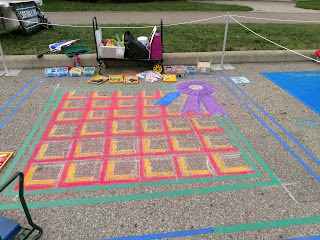 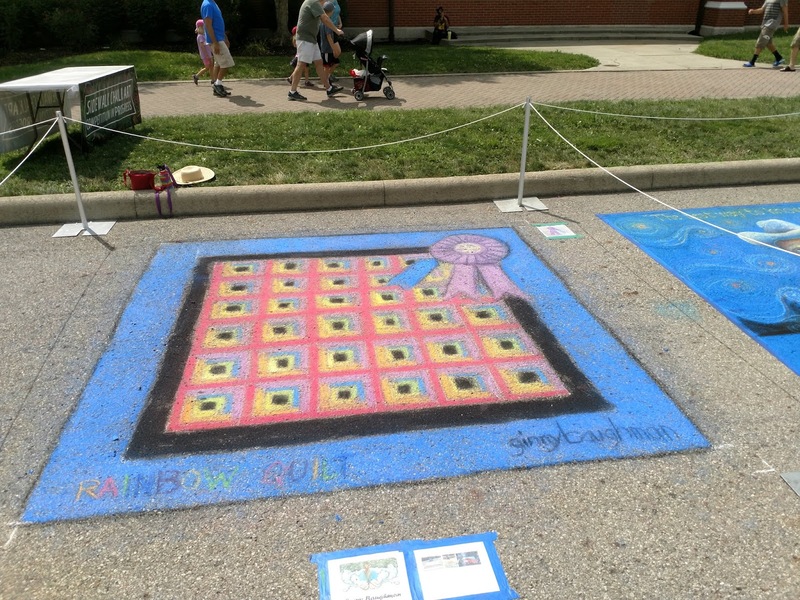 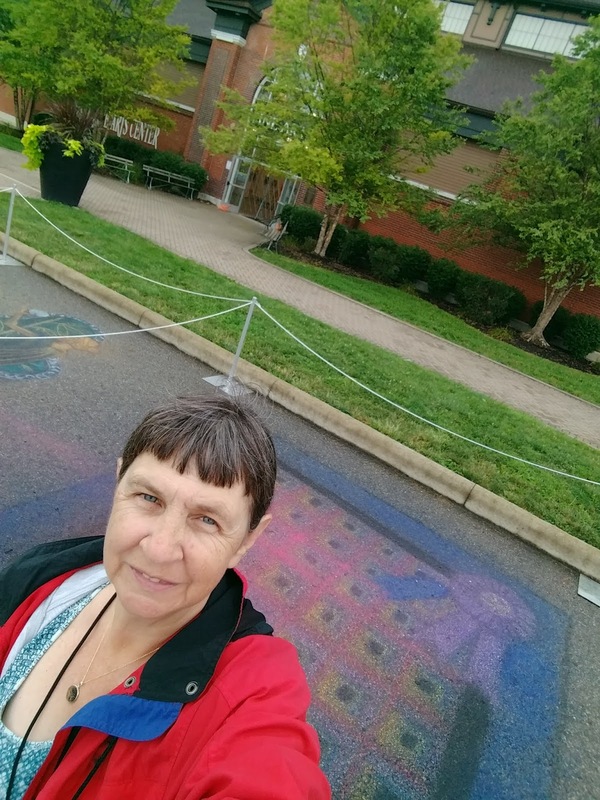 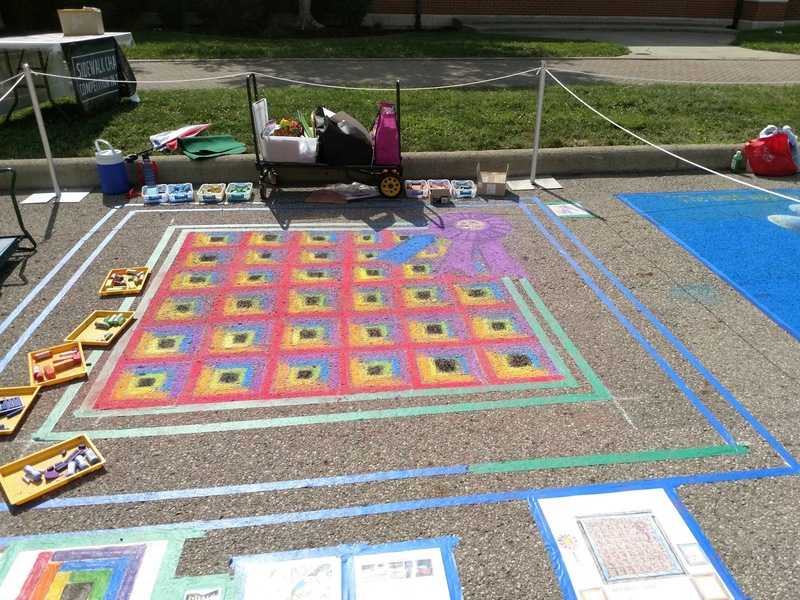 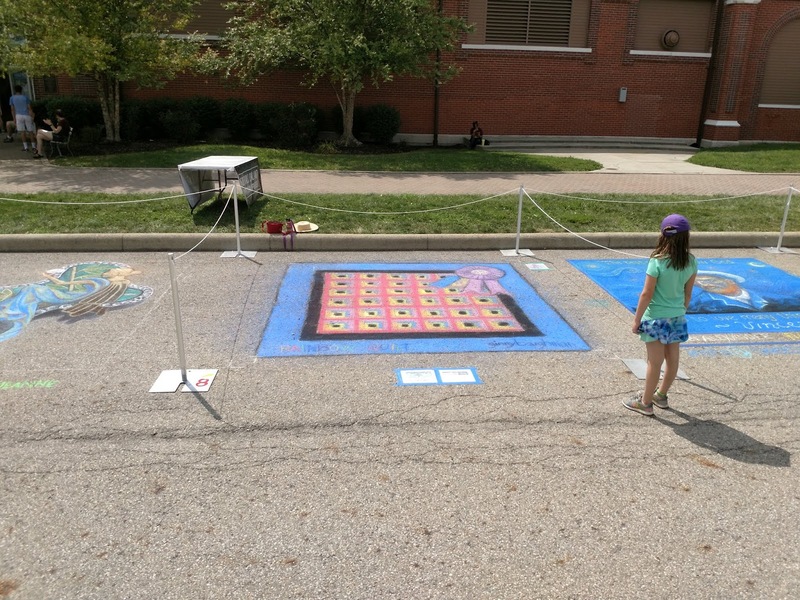 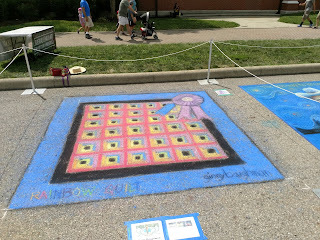 Finally getting around to posting pictures of my chalk art this summer at the Ohio State Fair. 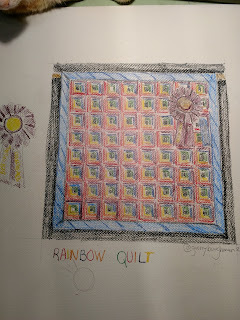 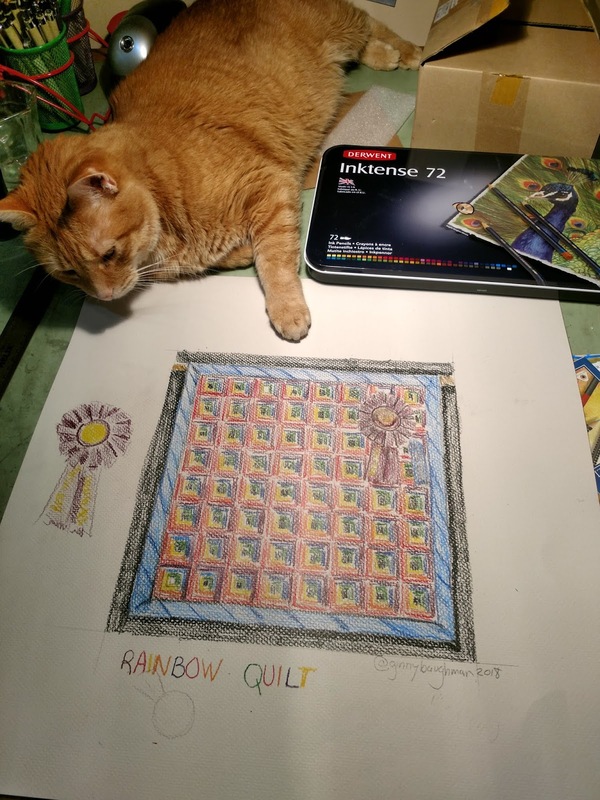 I decided to create a quilt this time. 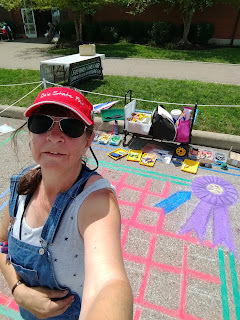 I got started at noon and finished about 4:00 that afternoon. We had the option to work into the next day, but fortunately I didn't need to. 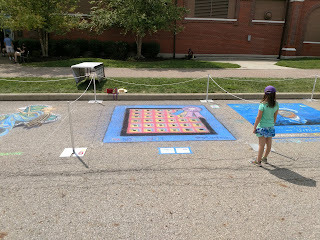 It really came out great when it was all finished. 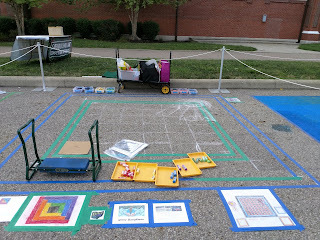 After it was taped off. 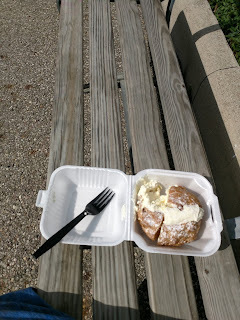 Took a break in the afternoon and treated myself to a wonderful cream puff! 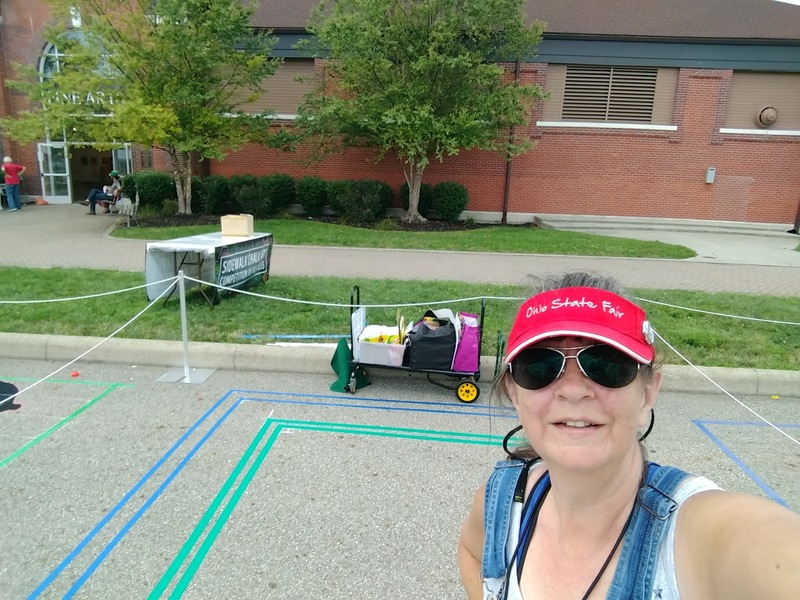 I had someone take a picture of me just before I finished. Unfortunately my phone died right afterward! So I had to come by the next day to get some good pictures of the final product. 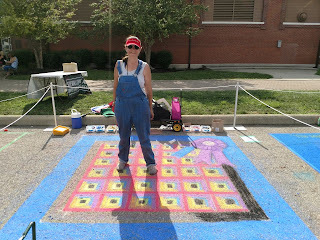 All finished! 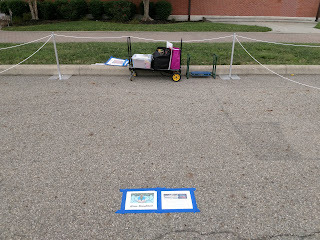 These pictures were taken the next day. 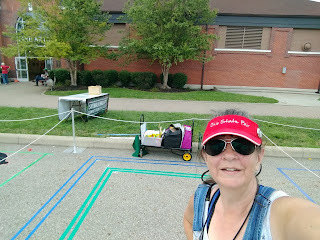 Still looked great! After the rain the next week. 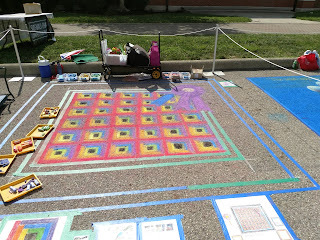 It stayed on the pavement for a good long time!